On Thursday, Dec. 20th the Falcons hosted a double district dual match where Liberty HS. competed with Brentsville HS. in a dual match first followed by a Fauquier wrestling match verses Liberty and the Falcons first district match of the season. The school event took place in the Fauquier Old gym where the JV Jamboree and a Middle School matches were slated on this same day but taking place in the Main gym, in an evening where both Fauquier HS. Gymnasiums were filled with wall to wall wrestling. 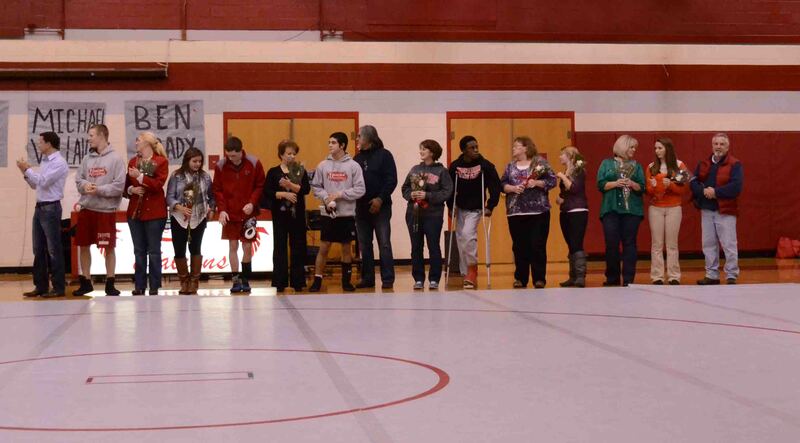 Also on this evening Fauquier Nation brought the senior parents out of the stands as well for Senior Recognition Night. Big shout out and thanks for the entire parent support to the wrestling program over the years and hosting such an event this evening. Fauquier Nation applauds. Once the referee blew the whistle to start the second varsity wrestling match in the Old gym, the Falcons did not wait long as they jumped out to a 52-0 lead over the Eagles. Through the first 8 weight classes the Falcons earned pins by 220 Thomas Palmer, 106 Caleb Strum, 126 Garrett Tingen, 132 Matt Raines, 138 Trevor Marable, 145 Michael Villalobos, 160 Ben Brady, and 182 Max Strum as the Falcons continue to roll over the Eagles to win the match 65-12 in a classic one-sided district win. Other key victories for the Falcons were Max Justin Sanker won a overtime 4-2, 120 Jake Hilleary won by Tech Fall 16-1, and 170 Erick Lemus won a overtime 4-2 match. Fauquier now extends its overall season record to 3-2 as they are now 1-0 in district play. In addition Fauquier continues and extends its winning streak to 11 straight wins/years over Liberty HS. The overall and current record with Fauquier verse Liberty now stands at 15 wins and 4 losses (favoring Fauquier). What's Next: The Falcons leave Friday (today) for an out of state event-Beast of East in Univ. Delaware, Newark DE. on Dec. 21st and 22nd. 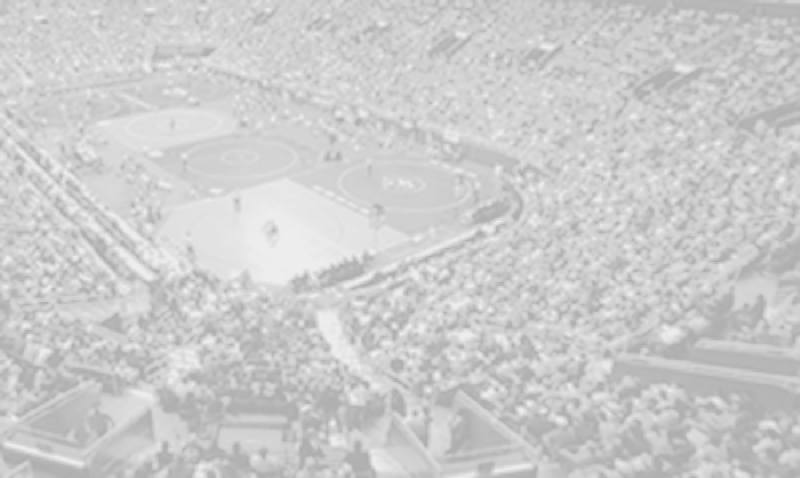 This will be a 64 to 128 man bracket tournament event where wrestlers will be placed into individual brackets and advanced forward through the champion rounds if they win. Good Luck Falcons.